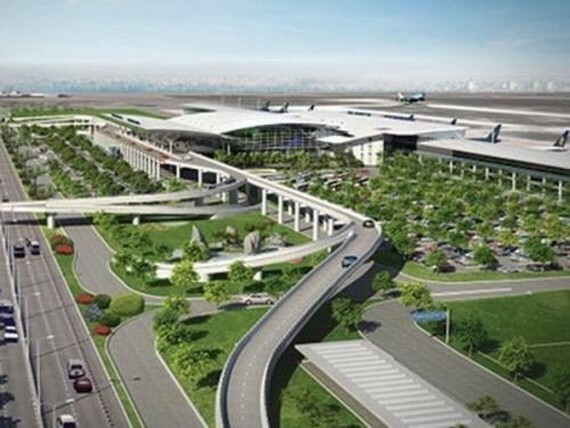 Deputy Prime Minister Trinh Dinh Dung has approved a feasibility report on a project of land clearance, compensation and resettlement support related to the construction of Long Thanh International Airport in the southern province of Dong Nai. The project aims to recover land, give compensation and resettlement support to locals living in the area, making it easy for the investor to complete the project on schedule. It will focus on vocational training and generating jobs for locals, and adjusting the administrative boundaries of communes in the project area. Attention will also be paid to settling complaints and denunciations of organizations, households and individuals during the project’s implementation. The project is invested by the People’s Committee of Dong Nai province with a total cost of over VND22.85 trillion (over $978.7 million ) sourced from the State budget. Of the amount, VND4.1 trillion will be invested in infrastructure development of resettlement areas; VND479 billion for building infrastructure facilities outside the airport; over VND17.8 trillion for support of resettlement; VND306 billion for vocational training and job generation; and VND27 billion for building a feasible report of the project. The project is implemented from 2017-2021.